I think it's sort of neat to see what things people buy and what amazing scores they made. I have watched a few haul videos on YouTube but I never saw a vintage one. 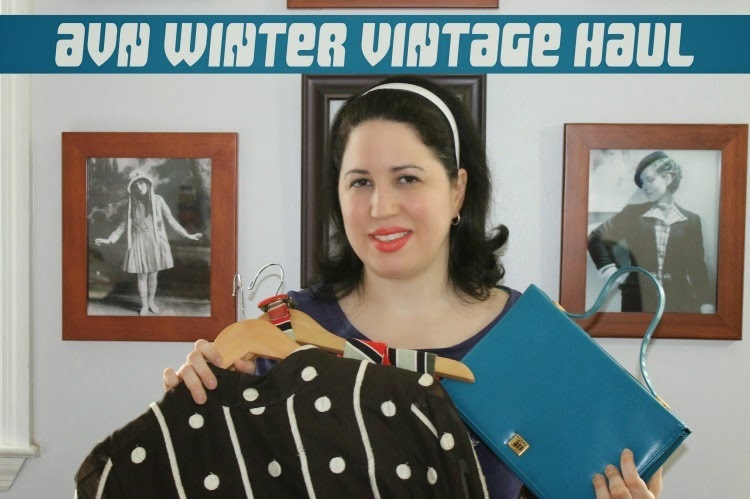 I decided to put together my first vintage haul video which includes the things I purchased over the winter. Do you like haul videos? 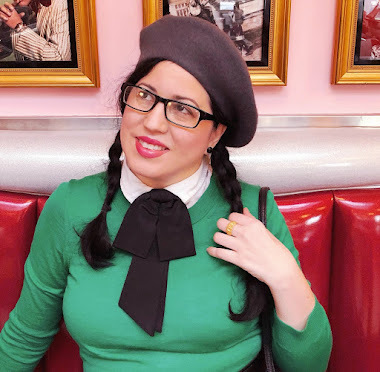 Would you like to see more of my vintage hauls? Which item did you like best? What vintage things did you score this past winter? That's awesome! I've seen videos that called themselves "vintage hauls", but were then just modern second hand finds. Lovely and all, but not true vintage in the sense that folks like us mean it. Thank you for getting one that is filled with genuinely old school pieces. They're all terrific, with the blue purse being my very favourite. Great video! It's fun to see other vintage lovers treasures. I'm sorry about the measurements being inconsistent, it is such a shame that sellers let them selves down with incorrect measurements. But you win some you lose some I guess. Fun video. I've seen a lot of haul videos on YouTube and am glad to see a true "vintage haul" video it's so much fun. It's tempting me to make my own. I love your hand bags. Also I think it be really cute if you create a wristlets around your doggy purse around his neck to create the illusion of a collar. Thanks for sharing.